I love stuffed cabbage and my Grandmother made the most amazing stuffed cabbage ever . I love stuffed cabbage but do not feel like dealing with the actual stuffing of the cabbage, it is way too labor intensive for me. I have made several variations of this and found this one to my liking the best. You can play with the ingredients which is what I did . Original recipe is from Kosher by Design and it is perfect for Passover by just leaving out the rice and substituting matzoh meal in its place. Basically this is meatballs in a sweet and sour sauce with cabbage . I doubt very much that Joel would ever eat real “stuffed cabbage” but he liked this. The cabbage cooks down so much that you don’t even realize you’re eating cabbage. I also used 1/2 chicken ground meat and 1/2 beef ground meat , this is entirely up to you. I wouldn’t do all chicken because it might be a bit dry, you can definitely make this with turkey but use dark meat turkey or the balls will also be very dry. You can also make this ahead for the holidays which is always a very good thing and feel free to freeze it. This is the original recipe , adjust amounts for how much you’re making. I made 2 lbs. 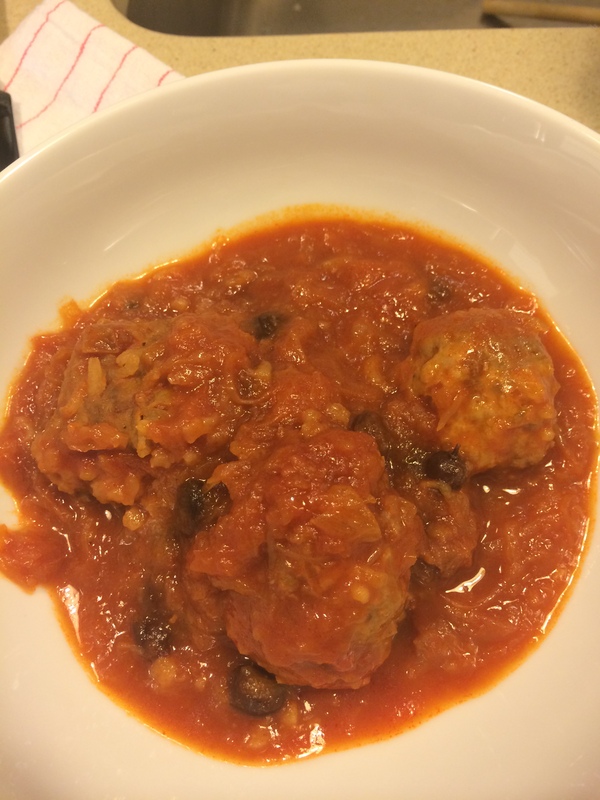 of meat but made full sauce as I was testing it out. You’ll want to use a large pot for this recipe. Enjoy! This will be on our Rosh Hashana and Passover menu this year with raisins and meat , sweet and sour, oh so perfect! 3 lbs. 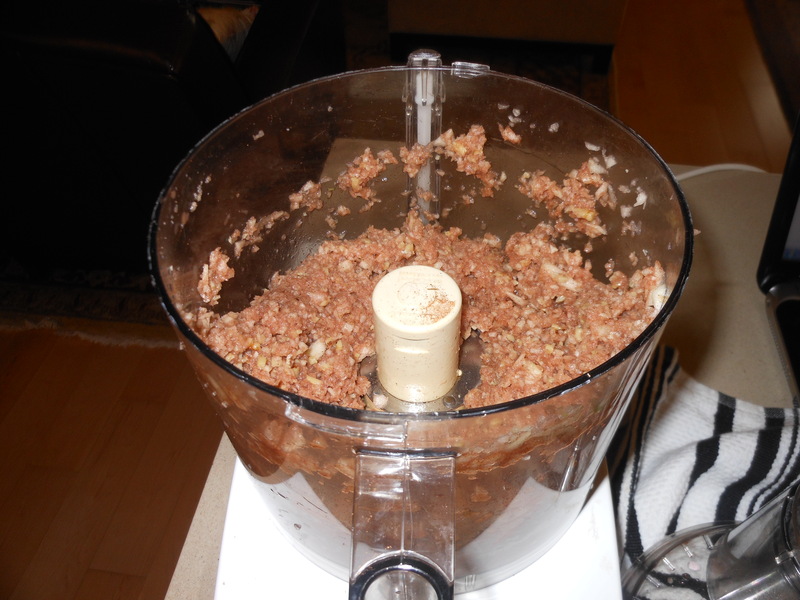 ground meat– I used chicken and beef (dark meat turkey is best here) white meat turkey tends to be very dry. Mixed with beef it’s fine but if using alone you’ll need to use dark meat ground turkey. 2 large eggs, lightly beaten. Use room temperature eggs they work best. *see my post about eggs–a little note on my blog. 1/2 cup brown sugar ( use whichever brown sugar you have in house , it won’t make a difference. Light or Dark, I actually used dark. In a large mixing bowl combine the meat, eggs, water, rice and onions. Season with Salt and Pepper , and if you like garlic powder. Gently mix by hand, and I do mean gently, if you over do it the meat will be like concrete. Set aside. Heat the oil in a large pot over medium heat. 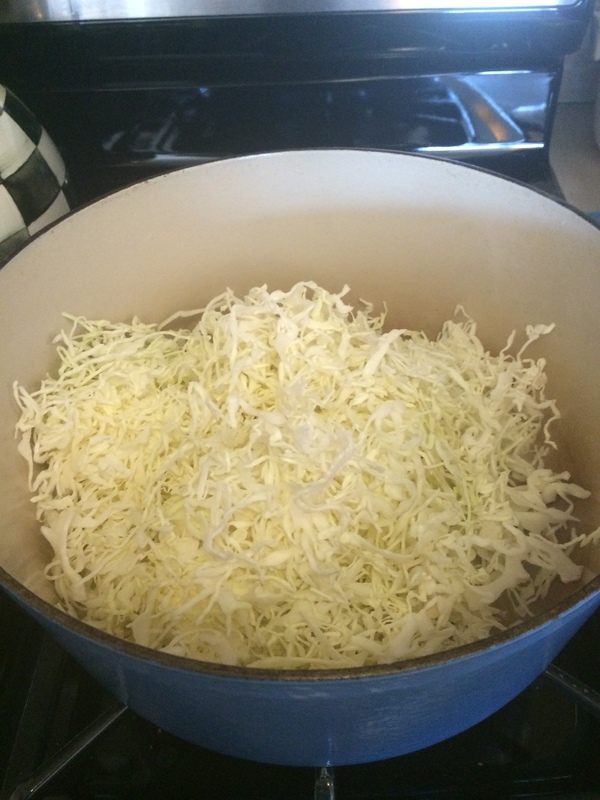 Add the shredded cabbage and about 1/2 tablespoon of kosher salt. Simmer for 10 minutes. Add the tomato juice, tomato sauce, brown sugar, sugar, lemon juice and the raisins. Stir till well combined and continue cooking sauce at simmer setting. 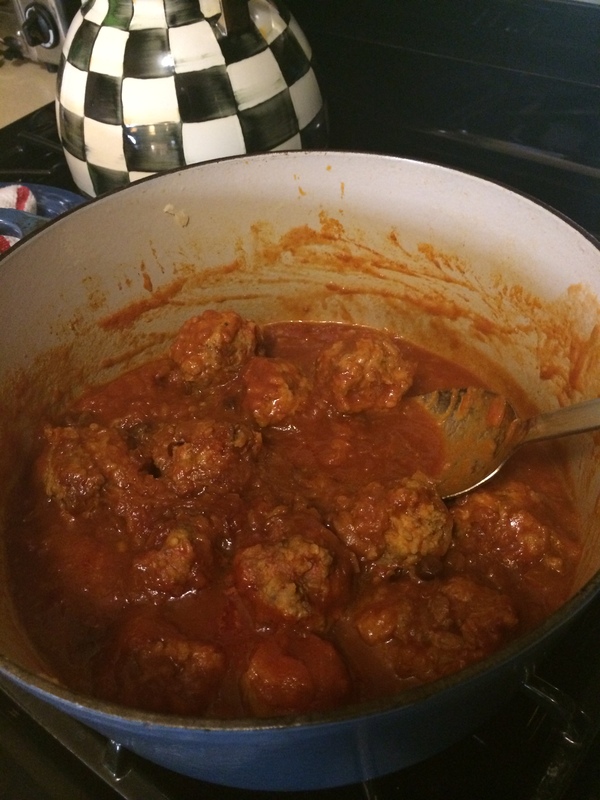 Gently form meatballs out of the meat mixture, I made a rather nice size meatball, not too large and not too small. Make whatever size you’d like. Just do not over-handle the meat because it will cause meat to toughen. 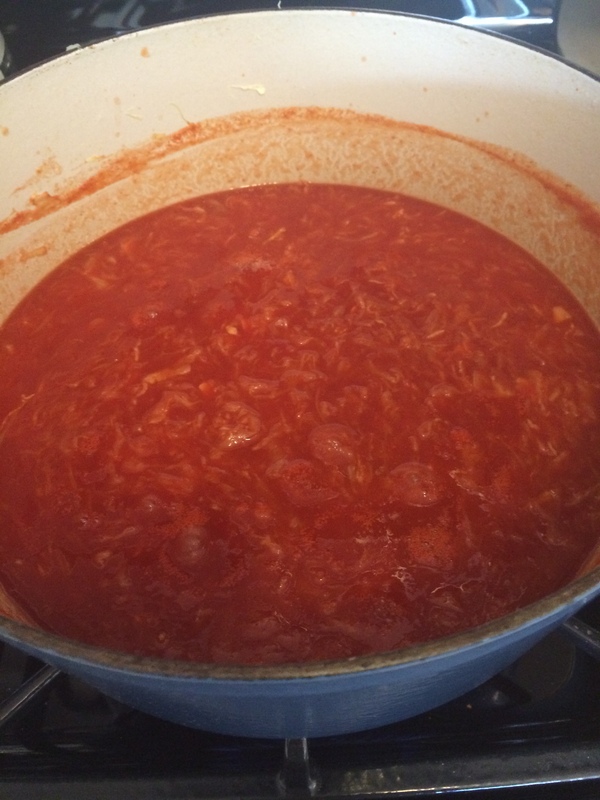 Add to cabbage mixture, just drop into the hot sauce and do not stir, you can pile them on top of one another because they will cook down. I left it to simmer for about 1 1/2 hours . I didn’t touch the meat balls for at least the first 1/2 hour, you’ll want them to cook through and form into nice balls before you stir, so just leave them to cook. After the first 1/2 hour or so you can gently stir and move the meatballs around. They don’t require a lot of stirring around . This dish brought back memories of my childhood and was a most satisfying main dish. This recipe was actually given to me by my daughter, jennifer. she has made it numerous times. always to raves from the family. i am going to make it this year for rosh hashana and it is so perfect for Passover. it is a delicious chicken dish made with honey so it so appropriate for the jewish new year! sweet and savory as our new year should be! enjoy it. if anyone out there has some holiday ideas i’d love to hear about them. pay attention to cooking directions as you will not be preheating oven!!!!!! you will need 2 shallow baking sheets with 1 inch rims ( you may be able to get it on 1 large sheet)Spray baking sheets well with cooking spray. Melt butter/margarine in a heavy 2 quart saucepan over medium heat. while it is bubbling, saute onion and garlic until softened, about 3 – 5 minutes. add remaining ingredients except for chicken and stir until well combined. heat until warm throughout and set aside to cool slightly. Rinse and pat chicken dry . (each piece) dip each piece in honey mixture, coating chicken completely. lay chicken pieces ( skin side up) on baking sheets. spoon any remaining sauce over chicken. place chicken in a cold oven, turn heat to 400 degrees and bake for one hour. if you are using 2 baking sheets , roast in the upper and lower thirds of the oven and switch shelf positions 1/2 way through the cooking time. Transfer chicken to a warmed serving platter and serve . this chicken is good hot, at room temp. and cold out of fridge the next day. *if you cannot find peach or mango chutney ( I found it at Whole Foods) Stonewall Kitchen Brand , you can use Peach Jam, Apricot Jam, etc. Probably Saucy Susan would work. Use your imagination and don’t kill yourself trying to find the chutney. I think the chutney would give it a bit more kick, and cut the sweet, but either one will be fine. this recipe was actually given to me by my daughter, jennifer. she has made it numerous times. always to raves from the family. i am going to make it this year for rosh hashana and it is so perfect anytime. 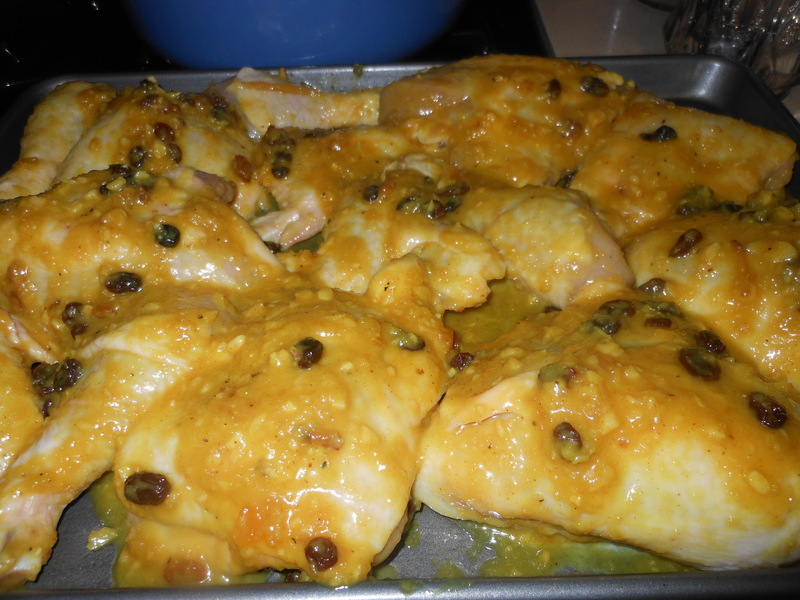 it is a delicious chicken dish made with honey so it so appropriate for the jewish new year! sweet and savory as our new year should be! enjoy it. pay attention to cooking directions as you will not be preheating oven!!!!!! This will be on our Rosh Hashana menu this year with raisins and meat , sweet and sour, oh so perfect! Many years ago I made this recipe and it was awesome. I’ve had it in various people’s homes, and it is so good. My gf Marcy ( who is a great cook) says she must always supply it for her kids, and she keeps in tins in refrigerator and sends them home with it ( even better) this is the stuff that I find deadly to keep around. It’s candy, and fun to make with your kids or grandkids. You can use white chocolate or toasted almonds /walnuts etc. or stick with recipe as it is. You would add the walnuts sprinkled on top as chocolate is setting. Thanks for sharing the recipe Marcy. Line a cookie sheet with foil and cover bottom of pan with baking parchment on top of foil. ( this is important b/c mixture is very very sticky) Line bottom of pan evenly with matzoh sheets, cutting extra pieces of matzoh to fit on the cookie sheet as even as possible. Combine margarine/butter and brown sugar in a heavy bottomed saucepan. Cook over medium heat, stirring constantly. Remove from heat and pour over matzoh. Place in oven and reduce heat to 350 degrees. Bake for 15 minutes watching to make sure the mixture is not burning. Remove from oven and sprinkle chocolate chips on top. Let stand 5 minutes, then spread melted chocolate over matzoh. While still warm, cut into squares or odd shapes and put in refrigerator until set. Chocolate will get hard. I think it’s better to go with the “odd shapes” as it may be hard to cut perfectly square. You can use white chocolate, and if you’d like sprinkle nuts on top as I mentioned above. 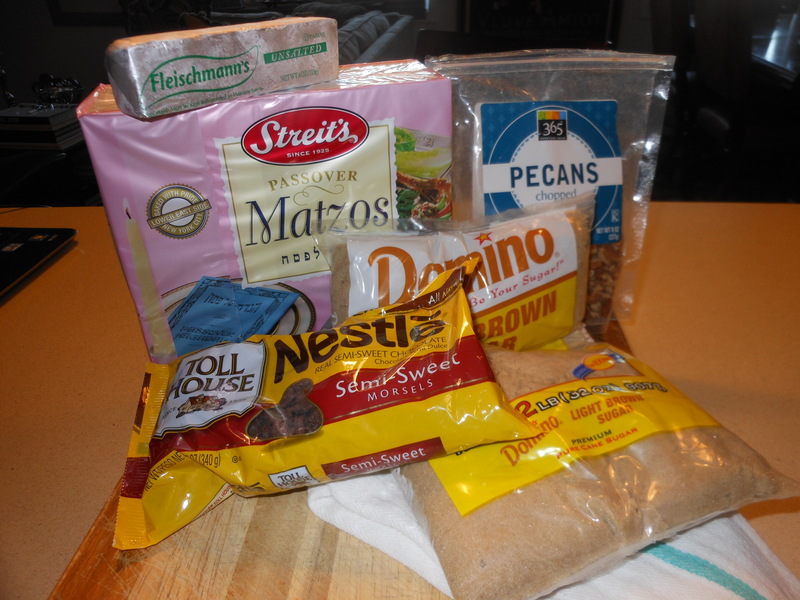 Here we are again with all the matzoh meal and no flour for Passover, not to mention the 6 eggs that seem to be in every recipe. I figured I’d be helpful for all of those looking for ways to reinvent the wheel. This recipe contains cinchy, easy ingredients, and its usually a crowd pleaser. So many variations of the same thing. This one can be made ahead and frozen, which is great. You will just cook it 1/2 way through before freezing, then defrost and cook at 350 degrees for about another 1/2 hour to 45 minutes later. This is a dairy side dish, so obviously won’t work for everyone but hold on to it because it is a keeper when looking for a vegetarian dairy side dish. 1 bar of cream cheese (feel free to go lite but not fat-free please) *original recipe calls for 1 lb. I’ve been using 1 bar which is 8 oz. and works fine. Obiously it will be that much creamier but not necessary with 2 bars. (1 lb) and that much more fattening! you can leave out to soften or use microwave to soften, not melt. Preheat oven to 350 degrees. 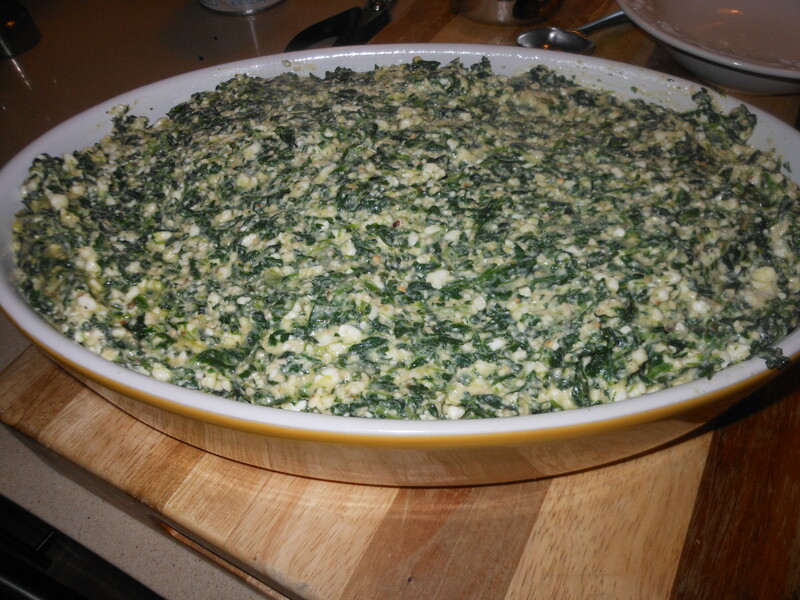 Spray a nice casserole or any baking dish you like to serve in (round souffle large ramekin is perfect) with Pam. 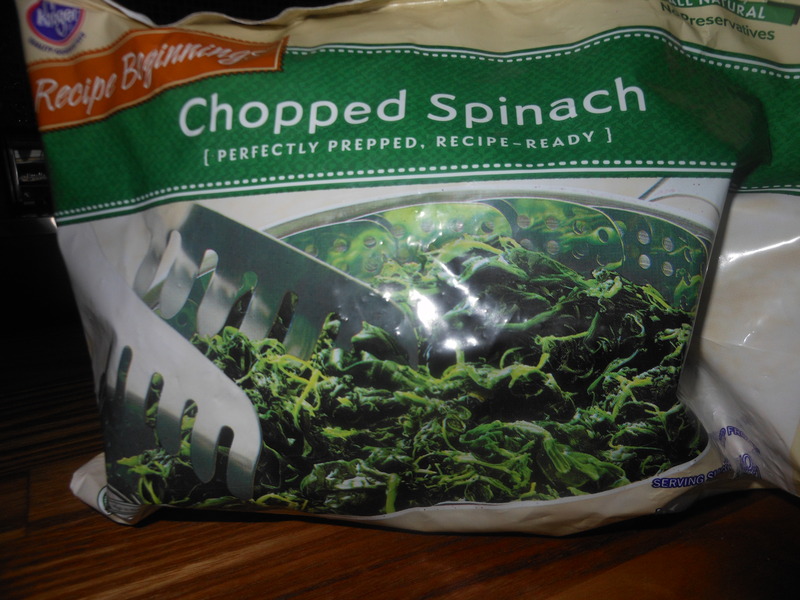 Cook spinach thoroughly according to directions (you can microwave it) and drain well by squeezing out all the water–which is the most important tip. Melt the cream cheese in microwave (start out with about 20 seconds, which should do it; but if not, do a little more at a time until totally melted). Add all ingredients in bowl, salt and pepper to taste. Bake 1 hour until golden brown at 350 degrees. If you are making this ahead of time, as I said you can cook 1/2 way through and freeze. Then the day before you want to serve it, take it out of freezer, defrost, and cook the rest of the way through–another 1/2 hour to 45 minutes till golden brown, and bubbly. Let’s start at the beginning of the meal. This is my easiest Charoset. 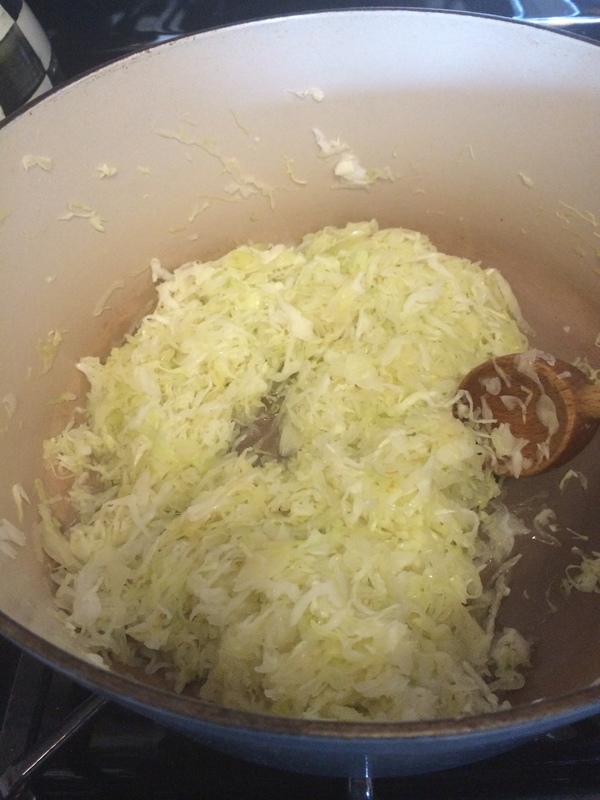 It’s traditional in the sense that it’s an Ashkenazi (Eastern European) recipe. I add a little brown sugar instead of white sugar and it gives it just a bit more character. This makes about 4 cups, but you can easily double it. My family loves it, so I always make a double batch. 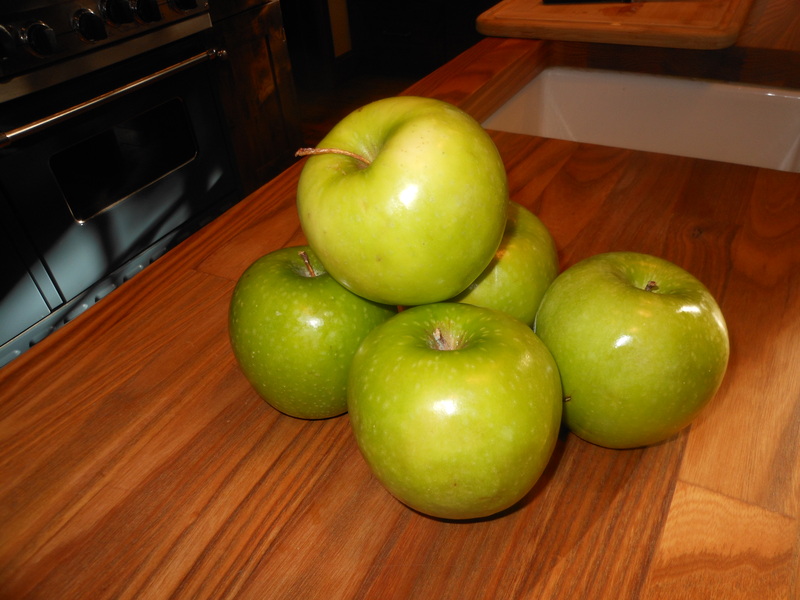 Remember, while a reminder of the mortar used in making bricks for Pharaoh, charoset is really just a sweet condiment of apples and wine!